*Now Scarborough, Maine. Maine achieved statehood in 1820; prior to that time it was a part of Massachusetts. Oil, by Charles Willson Peale (1818); Independence National Historical Park. Rufus King, who represented Massachusetts in the Constitutional Convention, was a political realist. The lessons of a classical education and certain tragic events in his family's history combined to convince him that idealism had to be tempered with vigilance and that a fledgling nation would need a strong government to protect the rights of its citizens while defending its interests in a hostile world. Throughout a lengthy public career he employed his considerable diplomatic and oratorical skills to promote the twin causes of nationalism and civil liberty, fighting in the last decade of his life to extend those liberties to the nation's enslaved minority. The Revolutionary War marked a watershed in King's life. Like other major social and political upheavals, the Revolution was accompanied by local breakdowns of justice and public order. The King family was the victim of one such breakdown, and the incident turned the young Patriot into a passionate advocate of the rule of law and the rights of the individual. King's military experience would also make him a leading exponent of strong national defense, but one who always demanded that the nation's military forces remain subordinated to the needs and purposes of the civilian government. King also served as an important transitional figure, passing on to a new generation of leaders the ideals that had animated the Revolution. The last of the Founding Fathers to pass from the scene, he served in various political and diplomatic offices until 1826. King was born in Scarboro, in that part of Massachusetts which subsequently became Maine. His father had served as a citizen-soldier during the early stages of Britain's contest for North America, participating in the successful assault on the French fortress at Louisbourg, Canada, in 1745. Shortly after that victory he left the Boston area to settle on the northern frontier of Massachusetts, where he quickly rose to prominence as a well-to-do farmer and merchant. His ability to dominate affairs in Scarboro provoked considerable envy, an emotion that turned ugly as the rift between the colony and the mother country widened. A strong supporter of Royal authority, the elder King defended the unpopular Stamp Act, a measure enacted by Parliament to raise revenues in the colonies to defray the cost of the French and Indian War. In retaliation the local Patriots, dubbed Sons of Liberty, ransacked the family's home in 1766. Unintimidated, the father retained his Loyalist sympathies, provoking yet another confrontation in 1774. This time a force of local militia visited the King home and demanded a public recanting. The humiliation and strain caused by this incident led directly to the old captain's death and instilled in his son a lifelong passion for law and order and for a society controlled by rational men. Rufus King was the first member of his family to benefit from a formal education. Thanks in great part to the persistence of his stepmother, he attended a boarding school, where he received the rudiments of a classical education, and then Harvard College. There he graduated first in his class in 1777 before moving on to Newburyport to study law under Theophilus Parsons, who later became Massachusetts' chief justice and one of the most important Federalist theoreticians and philosophers. King also joined a men's club in Boston whose members would form the nucleus of what eventually became the states Federalist party. Traditionally, young men in Massachusetts deferred military service until completing their education. King was no exception. In addition to his scholastic obligations, King faced severe financial problems. His father's sudden death left the family's affairs in shambles, and King was forced to support his stepmother and the younger children. He organized the estate and invested his share in the Massachusetts lumber trade. But his failure to enlist caused tongues to wag. Scarboro's local Patriots continued to harbor doubts about the family's loyalties. Given the father's outspoken support for the old regime, they especially questioned the son's commitment to the cause. King, who had become an ardent Patriot during his years at Harvard, was particularly incensed when charges of disloyalty were leveled against him in the summer of 1777, but he allowed the talk to continue a full year before he suspended his legal training and donned uniform. This steadfastness in settling matters in an orderly fashion marked the measure of the young scholar, just as it would come to characterize his later political career. Actually, during this period King considered himself first and foremost a New Englander. He stood ready to sacrifice all for his native region, but he felt no nationalistic commitment to rush to the defense of the other colonies. Although the Revolution began in New England in 1775, events and strategic decisions had shifted the military action to other locations relatively early in the war. Strategists in London decided that opposition to the Crown was strongest in the four New England states and concentrated instead on trying to regain control of the middle colonies, where they believed loyalties were more evenly divided. The British evacuated Boston in March 1776 and captured New York in the summer, intending to use that important port city as their main base. New England was left to endure the economic hardships caused by a naval blockade and frequent raids on coastal cities. When the chance arose in 1778 to drive the last of the enemy from New England, King quickly volunteered. The military picture now had changed considerably. The American victory at Saratoga in the fall of 1777 had freed New England from the threat of attack from Canada. Frances entry into the war led the British to withdraw from Philadelphia, allowing Washington to concentrate most of the Continental Army near New York. Several of his regular brigades were now available to reinforce New England's citizen-soldiers, and the appearance of a French naval squadron off the American coast provided the occasion to attack the British at Newport. 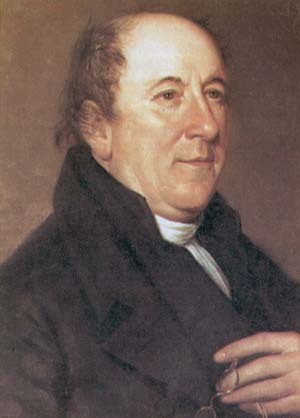 Massachusetts mobilized its militia for a campaign organized by Major General John Sullivan. King and other members of his Boston club volunteered their services to Governor John Hancock. On reaching Rhode Island, King received a commission as major of infantry and appointment as aide to Brigadier General John Glover of Marblehead. Glover, commander of the regiment of Massachusetts seamen (today's 101st Engineer Battalion, Massachusetts Army National Guard) who had ferried Washington's men across the Delaware before the Battle of Trenton, was now in command of an infantry brigade. The brigade crossed from the Rhode Island mainland to Newport, where it joined other militia and Continental units in constructing redoubts and preliminary siege lines. At this point, American fortunes turned sour. British reinforcements arrived, and the French fleet, after suffering severe damage during an inconclusive battle with a British squadron and from a sudden tropical storm, withdrew. Faced with the prospect of entrapment on the island, Sullivan had no choice but to retreat. As one of the best trained and equipped units on the scene, Glover's brigade covered the withdrawal. During that successful exercise King narrowly escaped death at the hands of the Redcoats. Following the aborted Newport campaign, King returned to the study of law. He was admitted to the bar in 1780 and opened a practice in Newburyport. Although short-lived, his military career was important to his development as a national leader. It enlarged his political outlook, introducing him to conditions outside his native state and providing him the opportunity to serve with soldiers from far-flung areas of the nation. It also taught him the importance of interstate cooperation in major defensive endeavors. Finally, and most important on a practical level, it helped him cement relations with a group of men who would become future leaders of the Federalist party. King's legal practice in Newburyport thrived and in 1783 his fellow citizens elected him to the state legislature. The following year his colleagues in the legislature selected him to serve as a delegate to the Continental Congress, which moved to New York City shortly after King took his seat. There, exposure to the cosmopolitan atmosphere of the metropolis and to the company of distinguished men broadened the young New Englander's political vision. He became close friends with Secretary at War Henry Knox and with such delegates as John Jay and Robert Livingston as a result of his diligent day-to-day activities in Congress, where he took a particular interest in commercial, financial, diplomatic, and military issues. Unrest among debt-ridden farmers in western Massachusetts, culminating in Shays' Rebellion, marked a final assault on the nation's confidence in the Articles of Confederation. For King, the abortive uprising not only proved the inherent weakness of the existing government, but completed his conversion to the cause of strong central government. He clearly demonstrated these sentiments when he joined other delegates as a representative of Massachusetts at the Constitutional Convention in 1787. He was the first delegate from New England to reach Philadelphia, and he quickly joined James Madison in leading the fight for national union on the Convention floor. His brilliant oratory and clear pragmatism helped win over wavering delegates. After the document was signed, he returned to the Continental Congress, where he worked to secure that body's approval of the new Constitution. He then returned to Massachusetts to act as floor leader in the state's ratification convention. To effect the compromise needed to win approval in that meeting, he helped organize the first formal call for a bill of rights. In 1789 King married and moved permanently to New York City. He was elected to the state legislature and then, just ten days into the legislative session, to the United States Senate. He represented New York in the Senate for two terms, serving as a leader of the Federalists and demonstrating a rare understanding of military issues. When war with France threatened, he fought to establish the national government's responsibility for coastal defense, to reestablish the Navy, and to impose a tax to fund these projects. King declined President Washington's offer of a Cabinet post, but he agreed in 1796 to serve as ambassador to Great Britain, a position he would hold under three presidents. Demonstrating singular tact and foresight, he negotiated a settlement of Revolutionary War issues and initiated discussions on European interests in Latin America that would find fruition in the Monroe Doctrine. King retired in 1803, but he remained closely involved in politics. During the next decade he ran unsuccessfully as Federalist candidate for various offices including the vice presidency. Reelected to the Senate in 1813, he quickly became a leader of the small group of Federalists who supported the administration in the War of 1812, arguing "when the efforts for peace were rejected and a barbarous warfare proclaimed against us, it became the duty of all to resist, and thereby preserve the country from ruin." Deeply admired by men of differing political persuasions, King won 34 electoral votes for President in 1816. During his final years in the Senate he continued to defend his political ideals in an age of rigid partisan attitudes. In particular, he denounced slavery as anathema to the principles underlying the Declaration of Independence and the Constitution. In the greatest speech of his career, he fervently opposed admitting Missouri as a slave state in 1820. In 1825 President John Quincy Adams asked him to return once again to London. He remained at his post for a year before his declining health forced him to return home. Among the Founding Fathers, King probably traveled the longest philosophical distance. Beginning his career as an isolated, provincial scholar, he matured into a unionist of broad vision. This transformation left him optimistic about the nation's future. The United States, he claimed, "on account of the freedom of their government, and the vigor and enterprise of their People, have the Right as well as the Power to take the lead in whatever may affect or concern the new world."